By now you should be more than familiar with HalfNoise, the solo musical vehicle of Paramore drummer Zac Farro, a longtime local fave and friend of the site. Formed and cultivated between Farro’s 2010 departure from Paramore and his return to the renowned group last year, HalfNoise has, so far, released two full-length albums and three EPs, navigating the realms of ambient, indie rock, synthpop, and groovy, retro psychedelic rock. In a swift followup to last year’s The Velvet Face EP, HalfNoise just dropped another effort, Flowerss, last week, which keeps with the analog, psyched-out vibe but also reincorporates some of the ambient, layered feel of prior releases. He’ll celebrate with his first hometown show of the year tonight, May 13 at Exit/In, ending a small run of national dates, along with some stellar local support from country-infused singer-songwriter Becca Mancari, and indie pop trio Ornament. As you may recall, HalfNoise hosted an epic Velvet Face release show last year at Lucky Bamboo, which featured Farro’s Paramore bandmates sharing the stage as part of the backing band, their first time officially performing together in years. Since then, Paramore have been busy touring the world, celebrating the success of phenomenal new LP After Laughter, but we’re excited to also see Zac still making time for HalfNoise between time on the road with his other gig (notably, much of the live incarnation of HalfNoise has been also incorporated into Paramore’s live band, and the group have taken to covering a HalfNoise tune as part of their encore). Tonight’s show comes after a more low-key hometown outing at The End last fall, and should be extra special since there’s new music in tow (for a preview, peep the brand new video for “She Said” below, directed by Aaron Joseph and shot on a nearby farm in 8mm, giving it a blissfuly retro vibe). Of course, another essential reason to make it to this show is local indie country/folk rock singer-songwriter and longtime site fave Becca Mancari, who late last year released her debut full-length, Good Woman, a dreamy, road-worn, forlorn, and confessional culmination and documentation of several years of travel and transformative life experiences, funneled into an absolutely beautiful and earnest masterpiece, a triumph of a debut that was one of our absolute favorite records of 2017. Also part of supergroup Bermuda Triangle, along with Jesse Lafser and Alabama Shakes’ Brittany Howard, Mancari has finally been getting the broader critical attention she deserves as of late, and her live show is nothing short of breathtaking. And opening things up are psych-tinged, retro leaning pop trio Ornament, who released a couple of buzzworthy introductory tracks last year after becoming a steady live fixture in the local scene. With their love of layered, nostalgic pop rock, they’re definitely right at home with HalfNoise, and, per usual, all of the support on this show is thoughtfully well-curated to give you a glimpse of some of Nashville’s most exciting rising talent. Standard disclaimer: while it’s very possible members of Paramore might join in for a song or two, come in expecting nothing more than a HalfNoise show, and that alone, as we’ve been buzzing about for years, is always a blast- a communal, celebratory, raucous and never dull party of a performance. Watch HalfNoise’s new video for “She Said” below, get acquainted with the openers if you’re not already (and make sure you’re punctual tonight), and grab tickets while they last- this one stands a very likely chance of selling out. 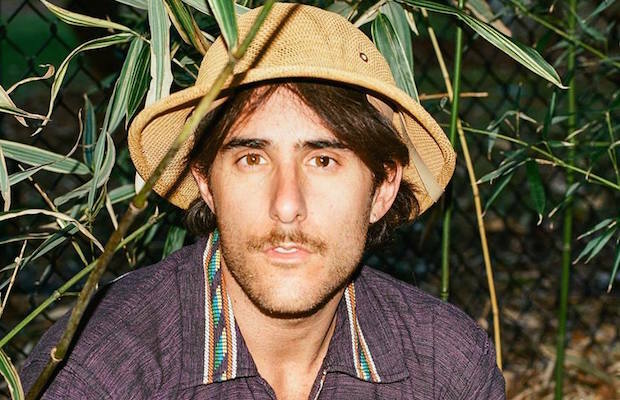 HalfNoise, Becca Mancari, and Ornament will perform tonight, May 13 at Exit/In. The show is 18+, begins at 8 p.m. (doors at 7 p.m.), and tickets are available to purchase for $15.